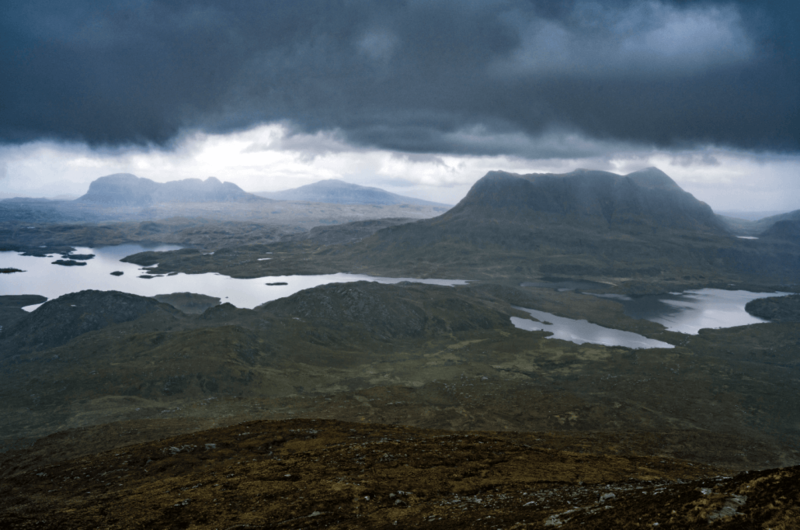 Landscape photography & timelapse in the Highlands. 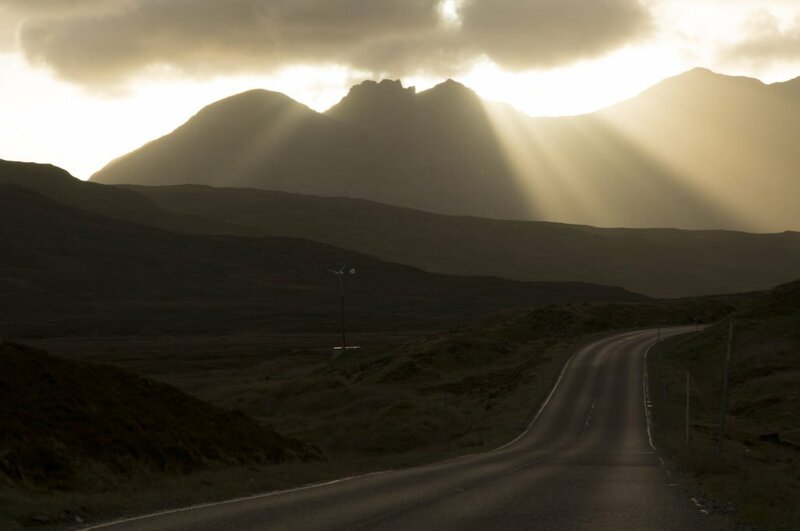 The north west highlands of Scotland have been up there on my bucket list for as long as I can care to remember. I finally got the chance to visit in May, with my good friend and professional landscape photographer, Karl Holtby. This area held a similar draw to Karl, and we met up several times before the trip for planning sessions, with meeting resulting in the both of us getting more and more giddy with excitement and anticipation! 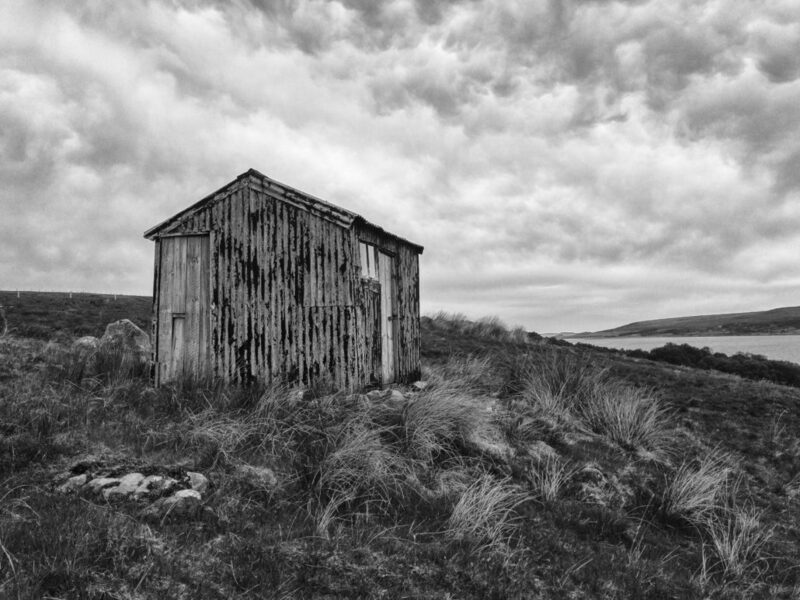 The initial plan had been to travel to the Isle of Skye, another place on the bucket list, but this was kyboshed by a lack of available accommodation on the island, and even when we’d found potential cottages using sites like Airbnb and Home Away, the owners either didn’t respond or were extremely unhelpful. So we went back to the more “traditional” means of the Sykes Cottages website and widened the area, eventually stumbling upon “Sail Mhor View” in Durnamuck, near Dundonnell. The cottage looked a little dated, but this was reflected in the reasonable price and, as we’d left it somewhat late to book, our options were limited so we took a punt. The big day arrived, and a relatively early start then degenerated into faffing around condensing two cars’ worth of stuff into one. We eventually set off to blue skies and fine weather; this was not to last! The rain started on the A66 near Brough and did not abate for the remainder of the journey. Which was a long time. Setting off around half 8, we arrived at the Dundonnell hotel 6 miles from our destination at around half five, in desperate need of sustenance. Despite the length of the journey, it remained interesting, heading over the Pennines, past Glasgow (where both Apple Maps and Google Maps decided to throw wobblers), and up through the Cairngorms to Inverness and the Highlands proper. There’s something quite sobering when satnav instructs you to stay on the same road without even so much as a roundabout to break things up for nigh-on 100 miles AND the whole stretch is covered by average speed cameras. After inhaling a couple of decent burgers in the hotel bar, we progressed on to the cottage, which was easy to find and delightfully situated at the top of a lane which wound its way down towards the shores of Little Loch Broom. We dumped the kit (and I bagsied the solitary double bed) and, despite ten hours on the road we couldn’t resist a quick exploration of the area. I decided to travel light and focus on enjoying the moment but Karl couldn’t resist the urge to bring his Sigma SD Quattro, H. As we walked down the lane towards the loch, a friendly and helpful local explained the best routes to the shore. A fine night’s sleep on a very comfortable bed ensured I was ready for more exploration on Sunday morning. The cottage, as the name implied, nestled in the shadow of Sail Mhor, with the range of An Teallach stretching beyond that. Karl had scoped out a low level route through the valleys that would bring us out at the top of the secluded Loch na Sealga, whilst offering up the chance of some expansive shots of the An Teallach range. Sunrise times of just after 04:30 at this time of year meant that we were unlikely to be undertaking any pre-dawn shoots on this trip; instead we set off mid-morning from a parking spot eight miles or so from the cottage. It’s fair to say that the route was more challenging than anticipated, and it then dawned on us neither of us had extensive supplies for a longer, harder route. Still, we made do with a few Belvitas and protein snacks. Back at the car, we were both feeling the effects of the walk, and decided to head to the nearest town of Ullapool to stock up on supplies. This being Scotland, the supermarkets are not subject to the Sunday trading laws south of the border, so we needn’t have bothered rushing. A quick pint at the Seaforth Inn went some way to restoring us. The Seaforth was reasonably busy but didn’t appear to be particularly well run; certainly the surrounding tables that ordered food seemed to be waiting a long time for the orders to arrive. Not fancying the possibility of a long wait, we indulged in the attached chippy. On the drive back to the cottage, we retraced the journey of the previous evening. With visibility much improved, we both remarked upon the transformation of the landscape. Taller and distant peaks were now visible, and the place took on a more rugged, inhospitable and imposing character. Some lovely early evening light had us pulling the car over and grabbing a few handheld shots. We got back to the cottage and recharged batteries, both literally and metaphorically. Again, as the light lasted so long into the evening, we decided to go for a bit more exploration and set off a bit further along the coast to Gruinard Bay. Karl took some shots of the impressive coastline whilst I took advantage of the still conditions to get some aerial footage from the drone. Unfortunately, this evening was the single time during the week that we experienced the horror that is highland midges, so it wasn’t long before we retreated to the relative sanctuary of the car, before returning to the cottage and calling it a night. The Ordnance Survey map showed an interesting looking track on the north side of Little Loch Broom, in the shadow of Beinn Ghobhlach, so we drove along the north shore of the loch until the road ended and the track began. The path was reminiscent of coastal walks in sunnier climes, helped no doubt by the good weather and shimmering water. Having covered the most scenic part of the path we returned to the car and continued on to Ullapool for a late lunch, deciding to hit up another eatery; we weren’t disappointed with the Frigate on Shore Street. Over coffee, we discussed the plans for the rest of the day. High up on both of our lists was a visit to Stac Pollaidh, so we headed the dozen or so miles north after lunch. There was no post-lunch today as the site of Stac rising from the edge of Loch Lurgainn literally took the breath away. The desire for an “easy” day was quickly forgotten as boots were laced and Goretex donned. Even the steady drizzle falling as we left the car park failed to dampen spirits. The views as we ascended became more and more spectacular as the gain in height combined with vistas opening up to the north to present the most awe-inspiring view I have ever seen. That was until the weather and visibility started to close in. Despite trying to shelter in a tiny cave to allow me to continue to shoot timelapses, the decisions was quickly made to withdraw to the car and return another day to bag the summit. By the time we arrived back at base in Durnamuck, the weather had lifted somewhat, so we decided to park up at the car park just up the road, which offered stunning views to either end of Little Loch Broom. Keen to give our weary (and unconditioned!) legs a rest, we decided that the following day (Tuesday) would consist of car-based exploration. We decided to give the Wester Ross tourist drive a go, passing through Poolewe, Gairloch and along the banks of the picturesque Loch Maree. 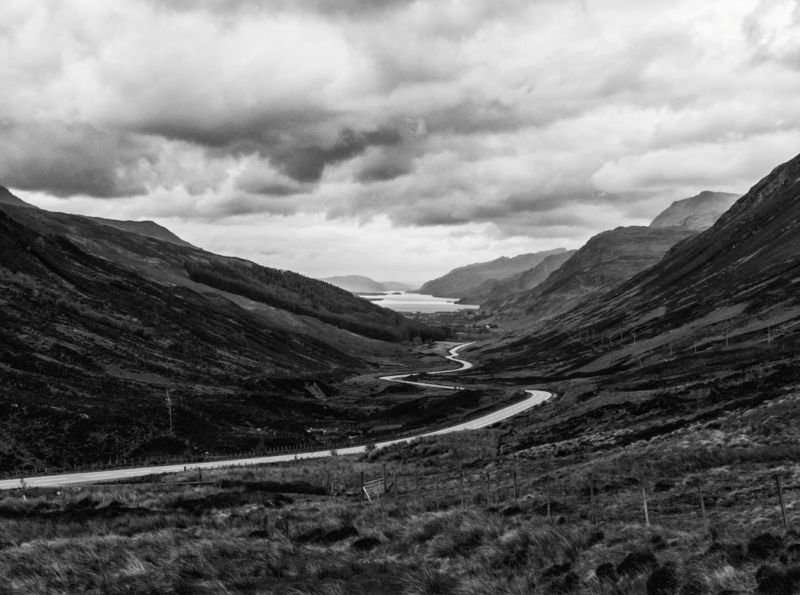 We drove the route in an anti-clockwise direction, but this means that the long stretch from Achnasheen to Garve is towards the end of the route and feels like a bit of a drag compared to the constantly changing views around Gairloch. We made a detour (again!) to Ullapool and our new favourite place, the Frigate for another satisfying lunch, before returning to the cottage for a spot of R&R. Eager for something to do in the evening, we returned to Gruinard Bay, and a spot we had discovered during the scenic drive earlier in the day. I climbed up on to Creag Mhor to shoot a timelapse from above the bay, showing the sky moving across golden beaches with a sumptuous mountain backdrop, whilst Karl shot more impressive coastal scenes. The following day (Wednesday), we were both impatient to have another crack at Stac. However, when we arrived at the car park at the base of the hill/mountain the summit was shrouded in thick cloud. Accordingly, we changed out plans to explore the immediate vicinity at a lower level. The map showed a track with a couple of branches heading north from the road between Stac Pollaidh and Cul Beag, towards Cul Mor. 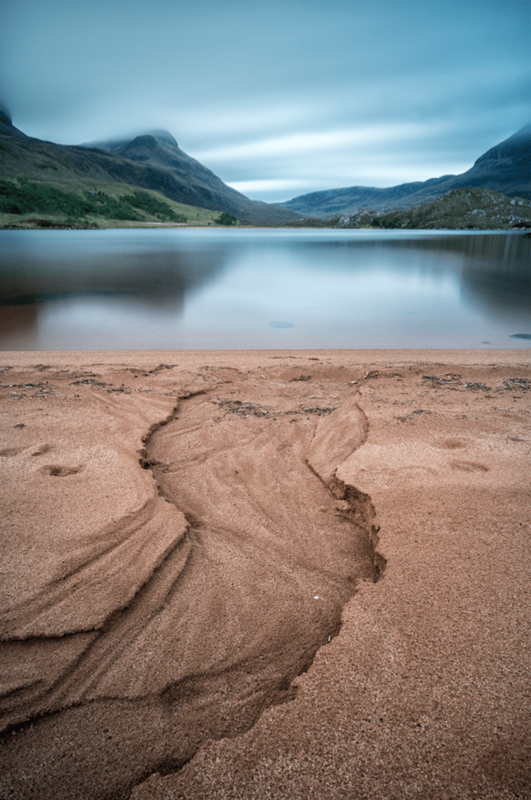 The route took in the tranquil lochs of Loch An Doire Dhuibh and Loch Gainmheich, and the whole area is a sanctuary for red deer, which is no surprise given the number of hoof prints on the sandy beaches that appear at the extremities of the lochs. Thursday, our final full day, represented the last chance to summit Stac Pollaidh, and this time the weather played ball. The route up is steep but short, and anyone with a reasonable level of fitness should be able to complete it without much trouble. The views from the top are nothing short of stunning. The ascent of Stac Pollaidh didn’t actually take that long, so we decided to drive the long way back to the main road, looping through Lochinver and Assynt. 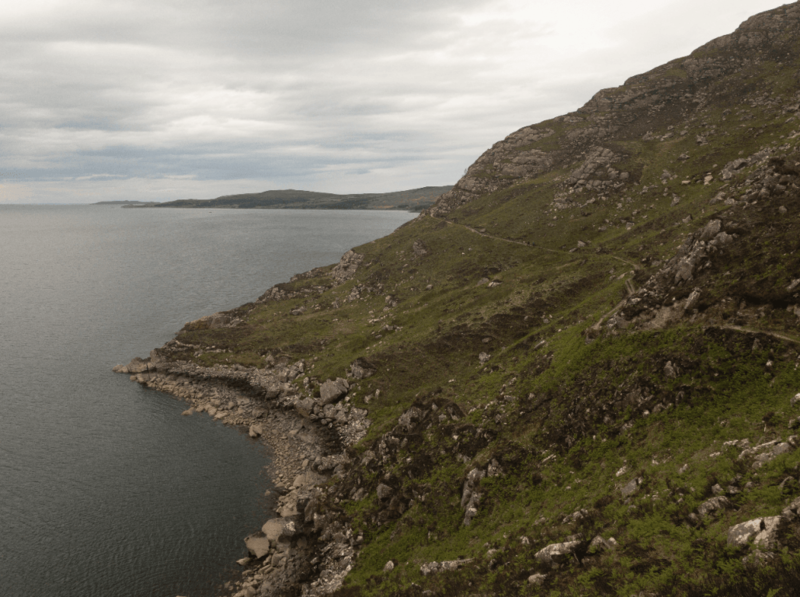 On the road to Lochinver is Enard Bay, which is simply sublime and a place I definitely intend to return to. After a quick stop in picturesque Lochinver, we continued on the A837 through the impressive Assynt area and along the edge of Loch Assynt itself. What became apparent from our time up on this part of the Highlands was just how varied the landscape is, and how much there is to explore; in some ways I found this a little daunting, as if no matter how many return visits were made there’d always be more to discover. But the trip has definitely whetted my appetite to return and I have no doubt that this was the first of many visits to this spectacular region. But now, thoughts turn to the next trip: wild camping in Snowdonia if a few weeks.